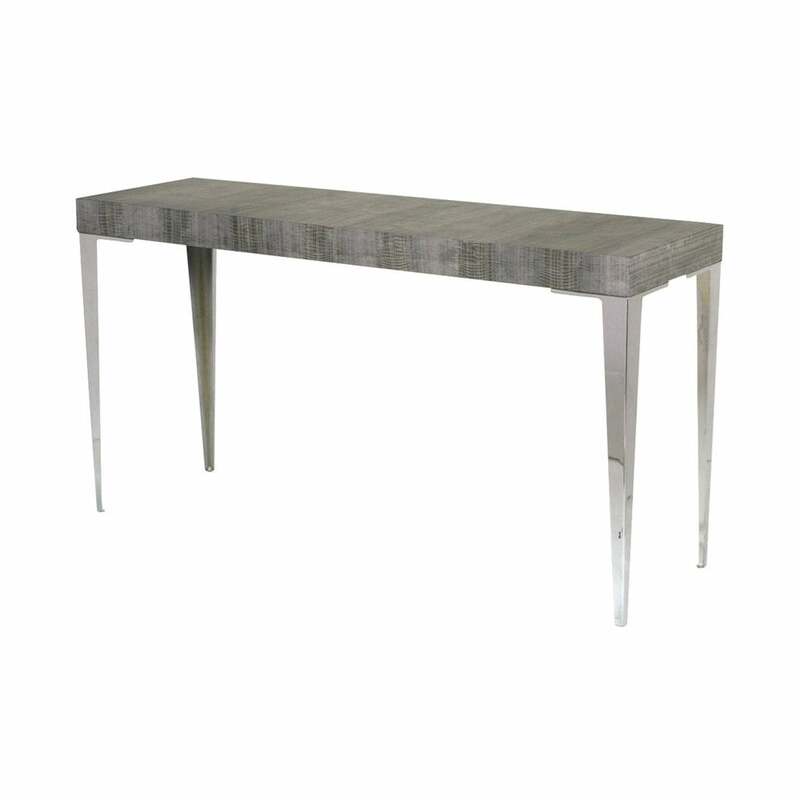 Shown in metallic silver lizard with polished chrome legs. Available in over 100 leather finishes. As with all Simpsons' pieces, this console table has been handmade in England.